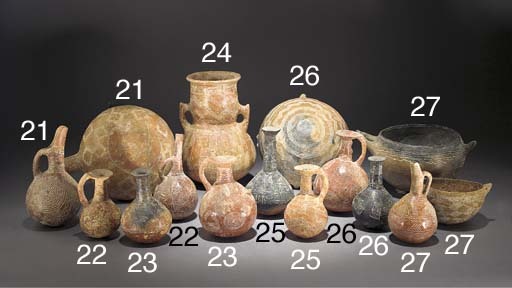 EARLY/MIDDLE BRONZE AGE, 2000-1800 B.C. The Art of Ancient Cyprus, p. 70, pl. 117b (item one), pl. 116a (item two), p. 65, pl. 92e (item four), p. 53, pl. 56c (item six) and p. 51, pl. 47a (item nine).